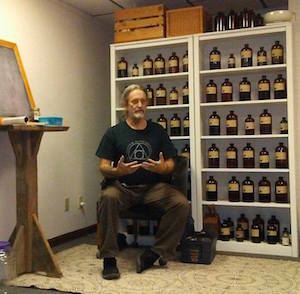 Tim speaking on alchemical theory at the Indiana Herbal Center in Bloomington, Indiana. 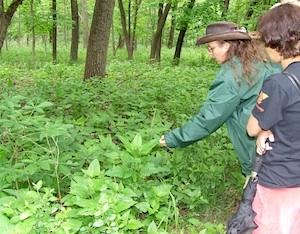 Cricket teaching - plant identification hike at North Park Village Nature Center, Chicago. 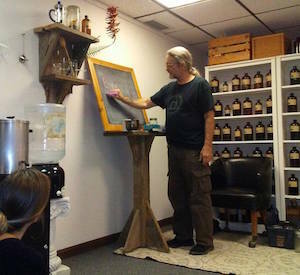 Tim explaining how alchemical herbal preparations are different than your average tincture. 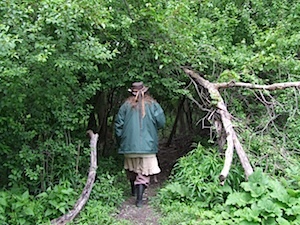 The alchemists add the soluble minerals from the plant body.